We’re a student-run newspaper: The Woodside Paw Print is written and managed only by WHS students. By joining journalism, you’re helping inform the Woodside community. Meet new people: Not only do you meet new students from your class, but you also meet new people through interviews! Strengthen writing skills: Along with learning how to write, format, edit, and publish a news article, you write scripts for the daily announcements. The roughest section of paper writing must be starting it. That is an important factor in writing a flourishing composition. A superb essay is the one which expresses the correct information in a straightforward and understandable way. Before you start writing, select your region of curiosity, it might be something, composition writing or post creating, you’d realize most useful. The actual key to obtain admission is actually not the subject, but the way in which the article is being composed. The next part of your essay summarize targets your own leading justifications. This might make the essential skeleton and abstract of your own essay. Get numerous eyes or expert undergrad composition specialists that will help you out. A superb title sums up just what the composition is about. Instead, it should be created in a way that all the sentences appear connected to one another. The initial essay is merely compared to it self. Start your essay using a thesis statement. You must lessen each of the kinks as part of your essay. Therefore, you should be certain you don’t be all these errors and write an article that is certainly remarkable. That is a truly very crucial step, so be certain that this can be as near the final composition as it can certainly be. Afterward I did that with the balance of his own composition additionally. Spread your work: Get your work published on our website and even nationwide! Learn about what’s going on: Did you read the news this morning? Once you join journalism, you’ll be constantly updated with the latest and upcoming events around the Bay Area and at school. Get CTE credit to graduate: One year of Career Technical Education (CTE) is required for graduation. 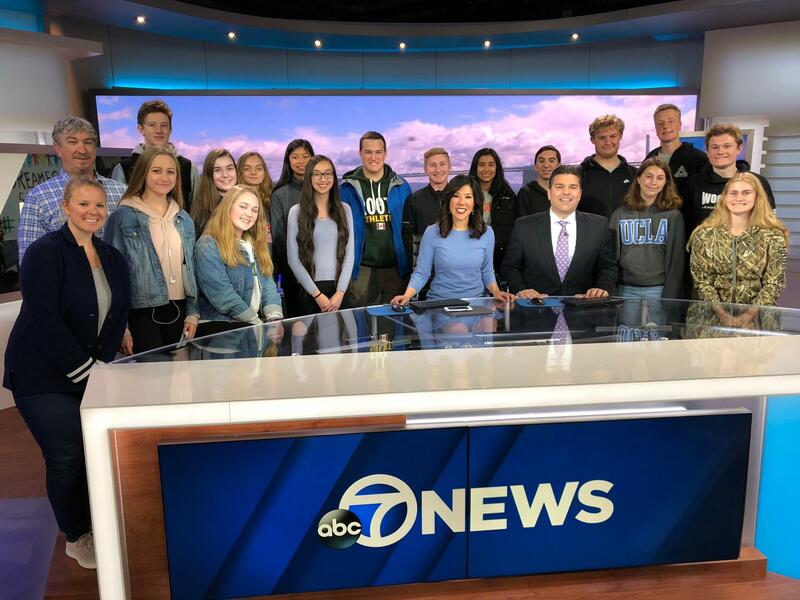 Field trips: We watched the live ABC7 broadcast live in San Francisco (Spring 2018) and attended a Chicago journalism convention (Fall 2018)! Still not convinced? Neither were these students… until they joined the class! Here are some frequently-asked questions about journalism! What is the homework load like? Homework is primarily interviewing people, finishing/editing articles, and taking photos. Students have most of class to work on assignments, so it all depends on how you use class time. Journalism is taught by Mrs. Bycer, but students (co-editors-in-chief and beat editors) help teach new students, lead story meetings, and make major decisions. What do you do in class? After a few weeks of learning the basics of writing, photography, and interviewing, students typically have time in class to write and edit their articles as well as collaborate with other students and brainstorm new ideas. Do you need any prior experience? No! All you need is the willingness to learn and talk to new people. Do you work with other students a lot? Yes and no. Students constantly edit other articles, work in group projects, and communicate in their beats, and students tend to work on articles independently. 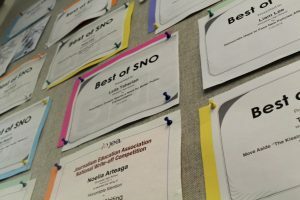 Read the top stories published this semester. Come support clubs on the I-wing lawn today at lunch! Learn more facts about Woodside through four episodes of a student-versus-teacher trivia game! 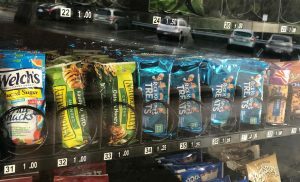 Which Woodside Vending Machine Snack are You? Which Song From “thank u, next” Are You? Find out which of the 12 tracks from Ariana Grande's "thank u, next" album you're most like. Staff reporters discuss Shane Dawson's theory that Chuck E Cheese's pizza is recycled.